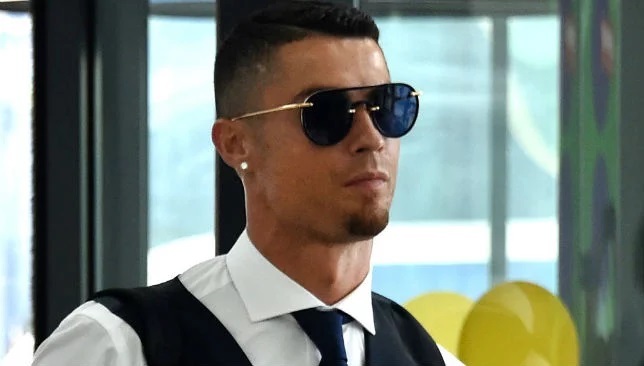 Cristiano Ronaldo‘s rumoured move from Real Madrid to Juventus inched closer to reality as reports pointed towards him having already held talks with Turin coach Massimiliano Allegri. A headline in the La Gazzetta dello Sport read “Hello Ronaldo”, indicating that the transfer was all-but done. While no details of the conversation were released by the newspaper, other reports revealed he had discussed tactics. Ronaldo’s agent Jorge Mendes is expected to be in Madrid on Tuesday when Los Blancos’ directors are scheduled to meet, according to La Gazzetta. Juve are keen to sign the Portugal superstar on a four-year deal, with an annual basic salary of €30 million. Meanwhile, Italian journalist Tancredi Palmeri also revealed on Twitter that Ronaldo would be meeting Juventus president Andrea Agnelli in Greece on Tuesday. He also apparently shared pictures of the Juve president at the Pisa Airport, leaving for Kalamata, Greece, on Tuesday morning to meet the Whites legend.